What is wealth? What purpose does it serve? Many answer these questions as “living a life of one’s dreams”, or “not having to worry about money”, or “having financial freedom”. Being wealthy means having enough money to spend for one’s responsibilities and dreams. However, for all the long term expenses, one must never forget one major factor – “Inflation”. As the name suggests, inflation is a phenomena that inflates the cost that you will incur to fulfil your life goal when the time arrives to fulfil it. 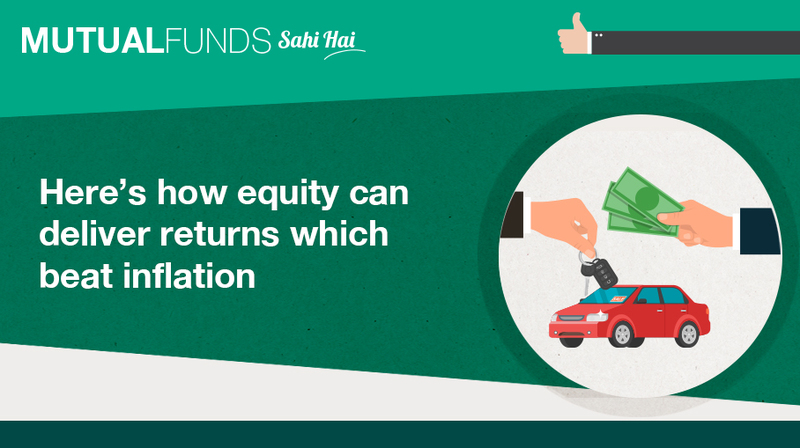 Although it’s true that equities as an asset class offer investors the opportunity to create wealth, it is important to keep in mind that equities as an asset class is volatile over shorter time frames. 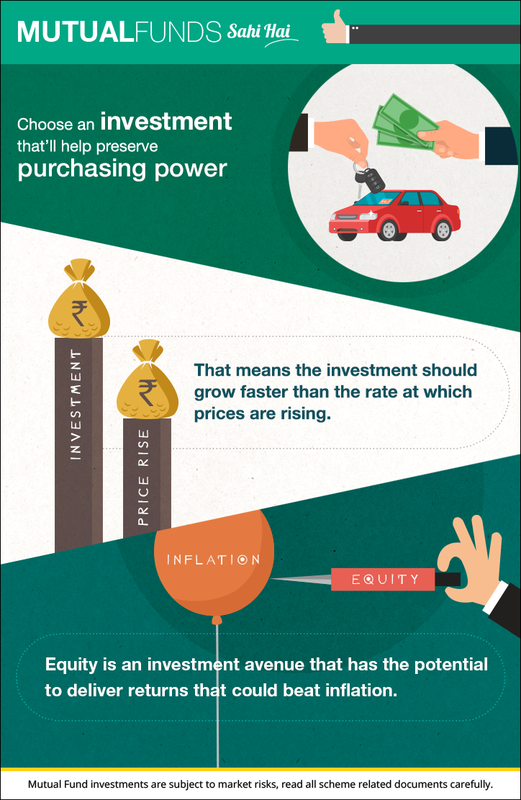 Therefore, you need to invest for the long term.